Apr2 by John M. Buol Jr. The manual referenced below, TC 3-20.40, has (finally!) received final, official approval. The signed copy is imminent and will see an official release at https://armypubs.army.mil/ very shortly. The individual qualifications the Army has been using since 1980 are no longer valid. 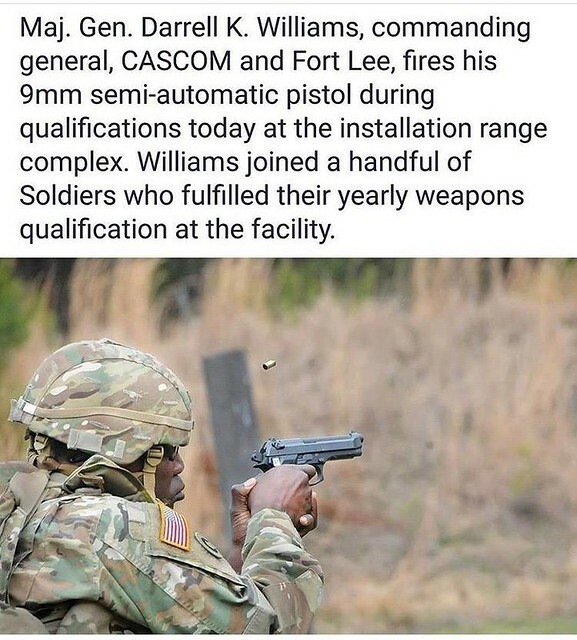 Just as Army small arms training doctrine has completely replaced and improved, so too has the qualification process, scoring, and standards. Chief, Army Reserve Lt. Gen. Luckey and Cmd. Sgt. Major Copeland have decreed the U.S. Army Reserve will be the most lethal, combat-ready Reserve force in American history. These changes move us to that goal. Get your unit and yourself prepared now. The U.S. Army Reserve Marksmanship Program is ready to help you. The U.S. Army’s new strategy to improve marksmanship will eliminate a shortcut that units use for individual weapon qualification — a long-standing practice that has eroded lethality over the years, infantry officials said. Army officials at the Infantry School at Fort Benning, Georgia are awaiting final approval of the new marksmanship manual that will prepare the Army for a new, and much more challenging, qualification test. The new course of fire — which forces soldiers to make faster decisions while firing from new positions — will drastically update the current, Cold War-era rifle qualification course. That course required soldiers to engage a series of pop-up targets at ranges out to 300 meters. The stricter qualification standards will also do away with the practice of using the Alternate Course of Fire, or Alt. C, to satisfy the annual qualification requirement, Sgt. 1st Class John Rowland, marksmanship program director at Benning’s Infantry School, told Military.com. Alt. C is an Army-approved 25-meter course in which soldiers shoot at targets scaled down in size to represent actual target sizes out to 300 meters. At that short range, however, the trajectory of the 5.56mm bullet is extremely flat and unaffected by wind, making it easier to score hits, experts say. Mar19 by John M. Buol Jr.
Change is coming. The U.S. Army Reserve needs to prepare now. While it hasn’t received as much attention as the new Army physical fitness evaluation, the 40 targets on the rifle marksmanship range are also about to be engaged in a more combat-focused manner. The U.S. Army released a set of Training Circulars that redacted the previous doctrine and established a new way to teach small arms skills. That was back in FY2016. If you or other Army personnel are still discussing “four fundamentals”, using silhouette targets for zeroing, and not implementing a Shot Process with a Peer and/or Experienced Coach, you’re three years behind the power curve. This new doctrine is also redacting old qualifications with a more difficult and realistic course. TC 3-20.40 is pending publication and it revamps all individual weapon qualifications. Another Training Circular soon to follow will do the same with crew-served weapons. The Army Reserve Marksmanship Program has already created material to help. The Army Reserve Marksman newsletter has article discussing this new doctrine. The World-wide Chief, Army Reserve Postal Matches has courses that can be conducted during routine group/zero and qualification without additional resources, making it an easy, fast, inexpensive, and effective way to practice the new doctrine and prepare for the new qualification. Download the current Training Circulars and prepare today. Sep23 by John M. Buol Jr. These have been added to our new .mil site. Download them from our Resources section. Sep5 by John M. Buol Jr. The Army adopted the Trainfire model around 1955. The most recent version revamped the program in the late 1970s and served as the primary approach until the new Training Circulars re-wrote doctrine starting in 2016. Until the new TCs and qualifications for them, all changes to Army small arms standards have reduced the challenge and needed skill. Consider this video where Soldiers conducting routine qualification during Basic are advancing downrange with loaded rifles and expected to take up positions on timed pop-up targets. FM 23-8, which was doctrine when this film was made, included a four table qualification that included shooting while advancing, offhand, and other unsupported shooting. Also note the regular use of peer coaching. Aug16 by John M. Buol Jr.
Lt. Gen. Charles D. Luckey calls on U.S. Army Reserve Soldiers to “know what right looks like” and hold themselves and each other accountable, and focus on the fundamentals of Fieldcraft. Jul20 by John M. Buol Jr.
EVERY 0331 that goes through AMGC does high angle fire. Slow news day? A variety of gunnery skills are taught during USMC Advanced Machine Gunner Course but most Army personnel remain oblivious to gunnery with machine guns and are rarely competent with them beyond loading and minimal marksmanship on easy and well-defined point targets. The authors explicitly spell this out due to recognizing most Army personnel have failed to perform at this standard but it is NOT a new/different standard. This is not a change to doctrine or a new qualification, this is the way the qual was always supposed to be run. Simple arithmetic of the number of rounds issued during qualification, the number of rounds per burst to be fired, and the number of target areas engaged confirms this. The explicit instruction was forced in due to a large number of Army personnel that don’t math good. Lack of skill with this equipment is, unfortunately, common. The Marine Corps is in Bulgaria practicing high-angle fire with a 40 mm grenade launching machine gun known as the Mk-19… The tactic could be beneficial in striking down infantry troops behind walls or protection, or taking out advancing Russian armor and light-skinned vehicles. With seamless communications and competent forward observers, high-angle Mk-19 fire could also be used to rapidly and easily walk rounds onto an enemy target, according to several machine gunners. It’s a skill set learned at the Marine Corps’ six-week Advanced Machine Gunner Course. Jul11 by John M. Buol Jr. The M249 is supposed to be used in either an Automatic Rifle and Light Machine Gun role. What differentiates either? For years, both qualifications were conducted in a very similar manner and many personnel failed to appreciate any difference. An Automatic Rifle is individually issued, carried, and used while maneuvering as a part of a team. A Light (or Medium or Heavy) Machine Gun is a crew-served weapon that supports maneuvering elements in offense and defense. The same M249 can be pressed into either role but the usage differs depending on which. I’ve found many personnel are confused by this difference and merely conduct whichever qualification is easiest. The following is merely an idea from one person (me) that has no official basis or status. I suggested this to personnel writing current Army small arms doctrine and they will have final say what becomes official. Given that personnel don’t seem interested in reading and learning the difference, I’d say we should make the AR and LMG quals more distinct. The current AR qual mostly looks like a watered-down version of the LMG/MMG qual. Grouping and Zeroing: Use the new 25-meter rifle/carbine zero target at 10 meters. Given that target’s 6 MOA “legacy” dashed circle is 4cm – same width as the 10 meter MG paster – and the 4 MOA circle and diamond is about 2.5 cm. The grid at 25 meters is 1 MOA squares, making it 2.5 MOA/0.75 mils at 10 meters. Zero standard becomes to shoot a centered three round burst inside the 4cm circle on that target from prone bipod supported. Eliminate the 10 meter MG target and course and use the 10-meter range as a preliminary group/zero exercise, like the rifle/carbine. Qualification: The Automatic Rifle qualification should be similar to the new four-table Modified Record Fire (Barricade) course. Phase 1 and 2 becomes Bipod Supported. Phase 3 and 4 uses a barricade and are fired kneeling and standing supported, respectively. Current Automatic Rifle transition ranges (100-400 meters) can be used as-is with the addition of a barricade and emphasizing longer shots bipod prone and closer distances from kneeling and standing, like the rifle/carbine. Like the rifle Modified Record Fire (Barricade) course, this makes the qual similar to Drill G (Fight Up). The Modified Record Fire (Barricade) course requires a reload while changing positions during the timed lull between tables, which (obviously) should be required to be done with magazines in the FLC/LBE/etc. 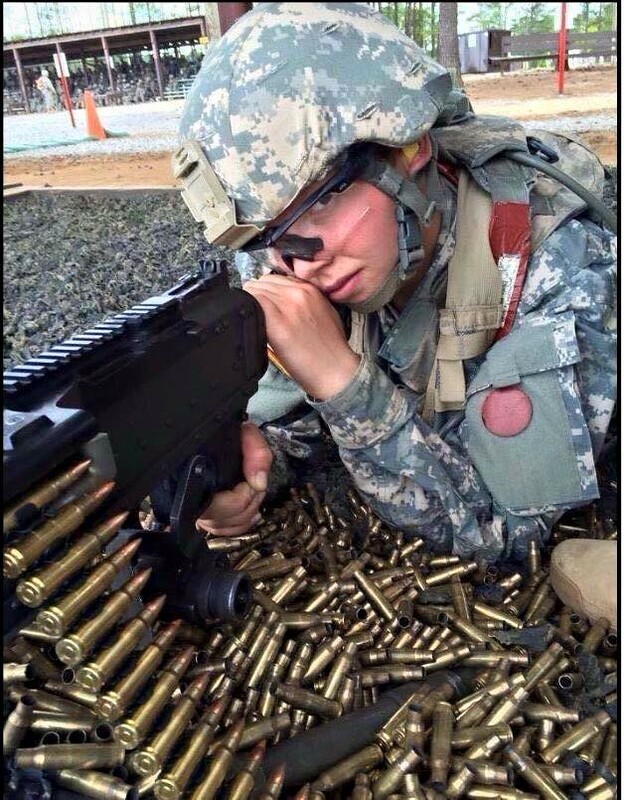 I’d suggest having at least one reload for the AR course in the same manner, reloading with an ammo can, soft assault pack, etc. in a manner as how ammunition would normally be carried on person. As a side note, we should also have the pistol qualifications require all tables start holstered and reloads done from gear on the clock. LMG/MMG qualifications should have a timed reload and a barrel change portion between tables for the same reasons. If this sort of thing was built into qualification requirements, leadership might start to care more about it.